Have you been feeling stressed a lot lately? You need something simple to help you relieve stress while you are at work or home. And a stress ball is the answer. Who knew that something so simple could be so effective in relieving stress! Wondering how to make a stress ball at home? This post can help you out. Keep reading! Step 1: Create a workspace that is properly covered with plastic or sheets of old newspaper. Things may get a little messy, so you want to make sure that your workspace is protected and easy to clean up after you are done. Step 2: Take a deflated balloon and put the bottom end of the funnel into the mouth of the balloon. Make sure that it is secure and properly snuggled in the balloon. If not, the balloon may slip off when you begin putting in the filler or flour inside. Step 3: Now it is time to start filling the balloon with the flour. Use the spoon to avoid making a big mess. Remember not to fill the funnel completely. Put the flour in without a rush. Your funnel is sure to get clogged with the flour. Take the pencil and use it to unclog it. Step 4: Fill the balloon with the flour and once it is done, tie it up tightly to make sure that the contents do not spill out. Before you do so, make sure that you remove as much air as you possibly can. This will prevent it from popping or becoming saggy. Step 5: Take the second balloon and cover the ball with it. This will make it stronger and prevent it from popping or causing any messy accidents in the future. You can also decorate your new stress ball if you like. That is it! You have made a stress ball on your own. It is important to remember that filling the balloon with flour can be quite time-consuming, so you will need to have a little patience. You can also think of it as an exercise on focus and stress-relief! You can use sand instead of flour, but it is said that for actual stress relief, it is better to use flour. If your stress ball is more of a toy to play with, you can use sand. Baking soda, beans, and rice are also great options as fillings for the balloon. Latex gloves can also be used in case you do not have balloons. Never squeeze your balloon stress ball too hard, no matter how stressed you are. The flour will leave a huge mess if your ball pops. Keep the stress ball away from small children and pets. First, blow up your balloon to stretch it. Once this is done, push your fingers into the balloon and open the neck. Next, slowly start to push in the play-doh into the balloon. This is the part that takes a little time and patience. To make things a little easier, make a snake with the play-doh and push it into the balloon. Use your thumb to pack it in every few minutes. Now, wiggle your fingers out of the balloon and try to prevent the play-doh from coming up to the neck. Once your fingers are out, gently squeeze out any excess air in the balloon and then loosely tie it. Squish the ball a couple of times to get a feel for it. If there are any air pockets, squish the dough to the bottom and untie the balloon to let the air out. You can add another layer with a second balloon to make it a little more secure. And you are done! 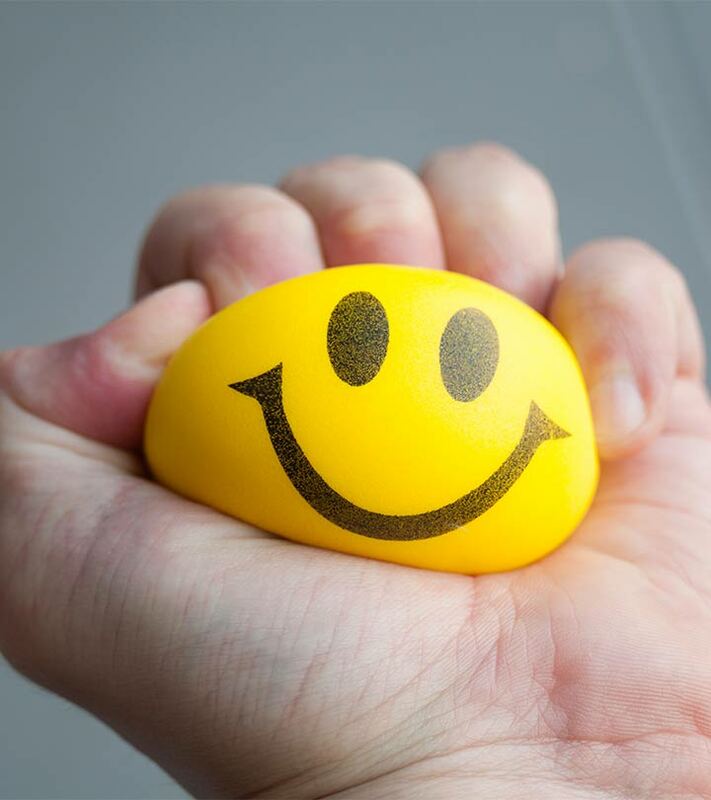 You have a great stress ball to get all your tension out! Although making a stress ball with a balloon is very common, you can make one with other items as well. Tissue paper is a great item that is easy to get when you want to quickly make a stress ball. Take a couple of them and crush them to make a ball. Add as many as you like until you get the desired size and then you can squeeze your stress away with it! Stress balls are an effective way to ease tension. The best part about them is that you can squish them anytime, anywhere. Whether you are at home watching TV or at the office at your desk, you can play with them and feel your stress slowly ebbing away. When you make stress balls, personalize them and make them more fun. Create little cartoon characters like ninjas or superheroes, so that even the kids can play with them. However, if the little ones are going to get their hands on them, make them with play-doh. This will prevent messes in case they pop. Leave stress balls made of flour, sand or other messy materials for grownups only. Stress balls have been used to relieve tension and anxiety for years. They are surprisingly effective. The best part is that making them is really easy. 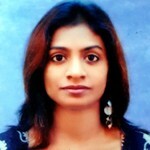 Plus, the materials that need to be used to make them are very easily available. They are available in even the smallest stores. Another bonus is that they are very cheap, so you do not have to spend a lot of money even if you make more than one. Stress balls are not just great for stress-relief. They also make fantastic party favors and gifts. You can use them for juggling and entertain the kids at home. There is a lot you can do with them. However, when it comes to actually relieving tension, use flour. It gives the balls a more squeezable feel, which is what you want. As mentioned already, for play, use play-doh. It is safer and can be handled roughly without the risk of a mess. Making squishy balls are also a great way to get children to get into crafts. Since they are easy to make, little ones can have a lot of fun with them. Get paint and other things to decorate them with. You will see your kids using their imagination and creativity, which is always good. Use colorful balloons, paint, glitter and other items so that they can personalize their homemade stress balls any way they want. You and your little ones are sure to have a lot of fun. By making your own DIY stress ball, you gain quick relief from stress that you can get from activities at home or being at work all day. Sometimes it is the simple things that can provide you relief, and there probably is nothing simpler than a stress ball. When you have one with you, you do not need to spend loads of cash on a spa treatment or a massage. Just grab a ball and squeeze your stress away. People have raved about how effective it is and how they have been able to avoid money on professional anti-stress treatments. The next time you feel stressed after a long day at work or a hectic day at home, quickly make a stress ball and get relief. Grab a couple of balloons, flour and a funnel and you are good to go! It really does not take much time and as you have learned from the steps given above, the only part that gets a little tough is putting in the flour or play-doh into the balloon. Just make sure that the balloon is properly stretched before you start pushing these items in and you will find that it is not all that difficult. Also, make sure that you protect your work area with paper or plastic if you are using flour, sand, etc. Now that you know how to make stress balls, what are you waiting for? With these tips in mind, you can make a fantastic little squishy ball to help you out during those extra-stressful days. Do not worry about hectic days when you have these fun little things around. They can help you get quick relief and you will feel better in no time. 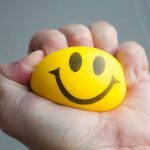 So take a little time out of your day and get the items you need to make your very own stress ball to ease all that tension away whenever you need to. How did you like this post? Do let us know by commenting in the box below.